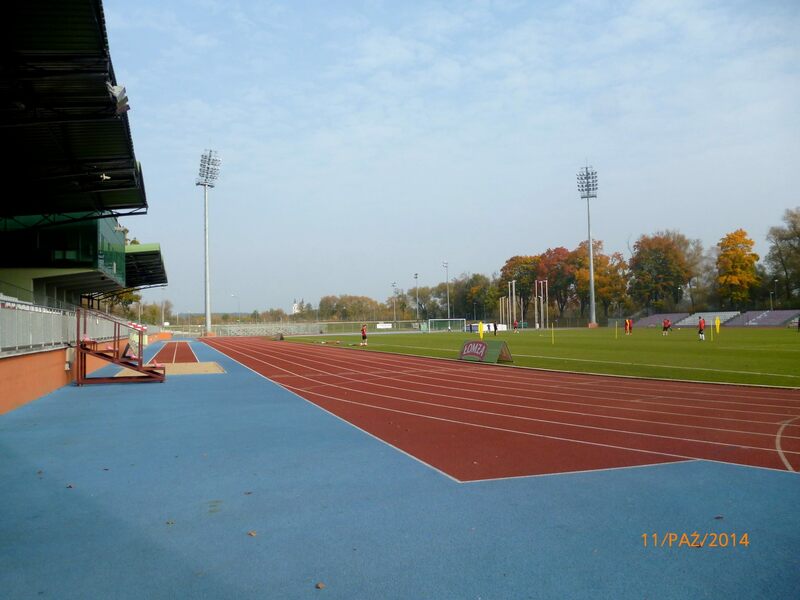 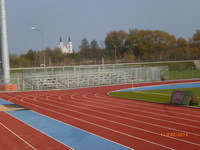 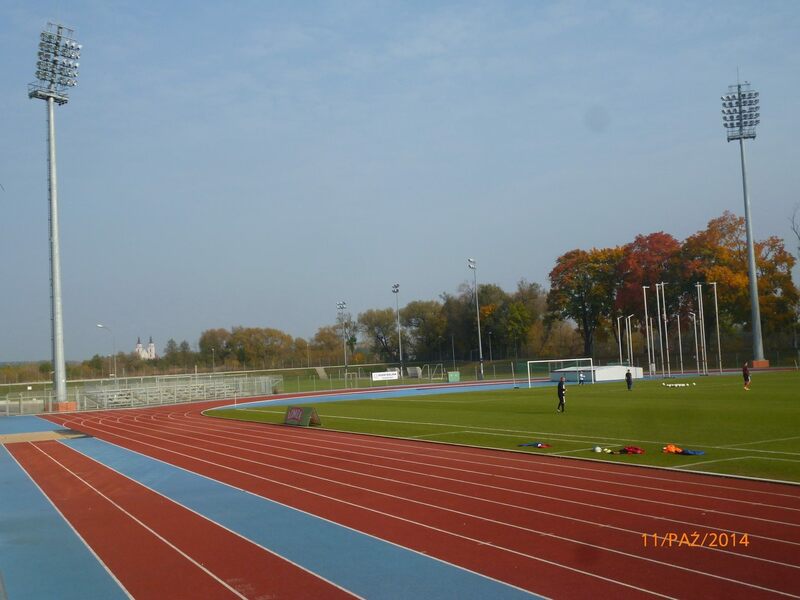 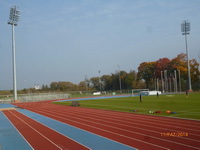 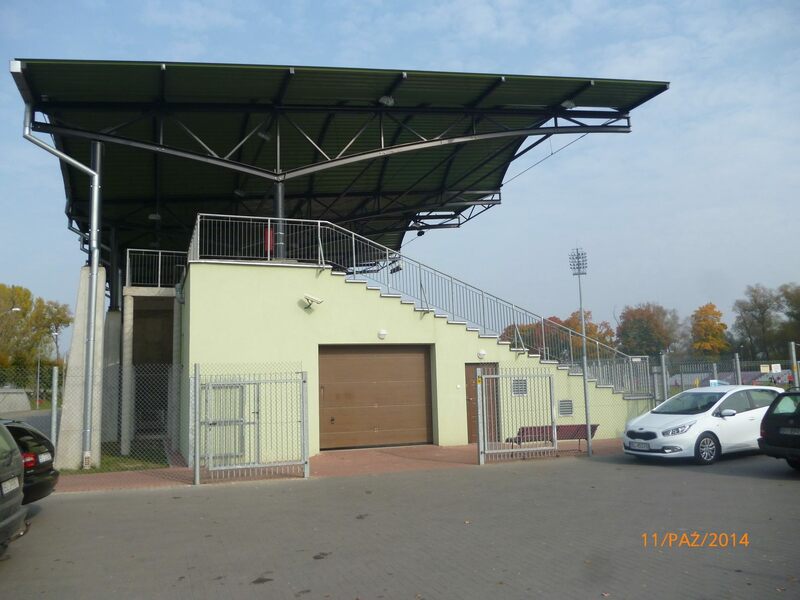 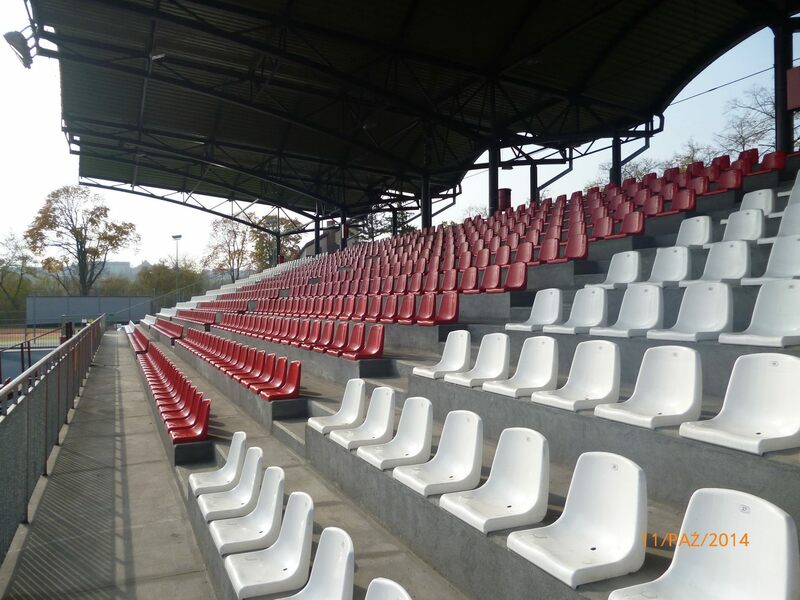 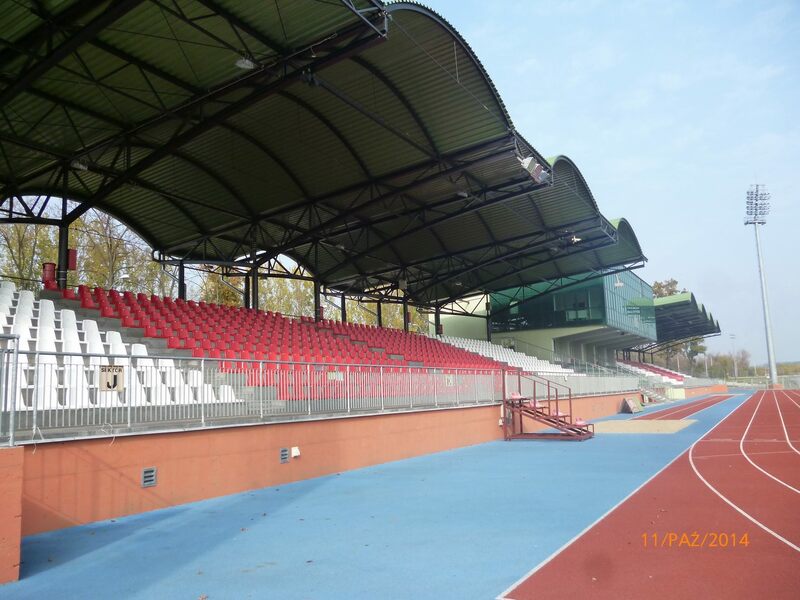 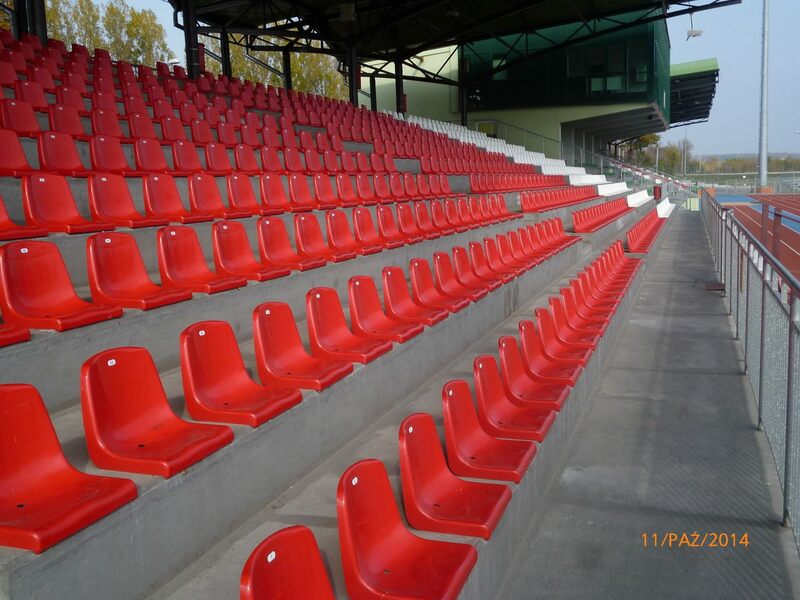 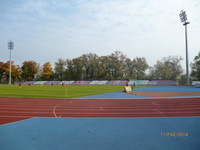 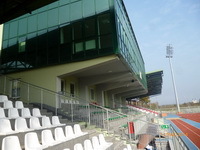 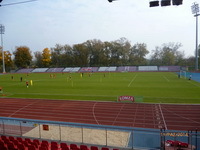 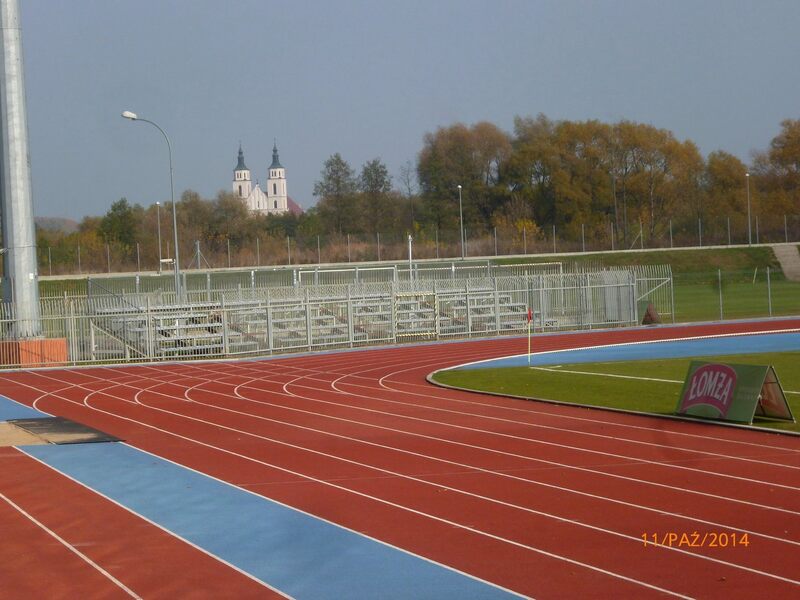 The stadium fitted into the curie of Narew River has been serving the community of Łomża since 1932. 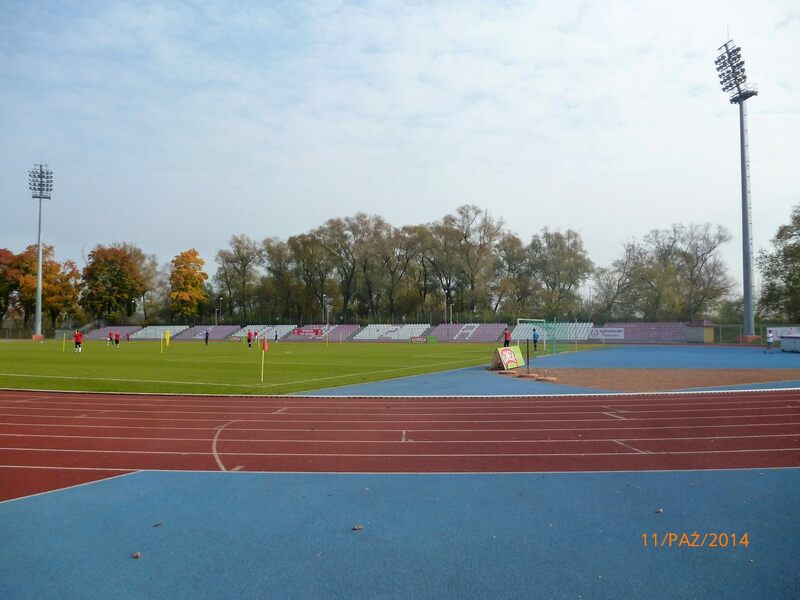 Built in a slightly remote location by citizens, soldiers and even sportsmen, the ground became part of a major sporting complex, one of Poland’s most impressive upon opening. Unfortunately WWII didn’t spare the area and rebuilding of the stadium began in 1950s with a small western grandstand. 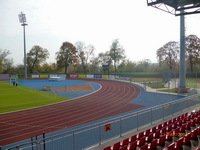 Current layout was created in the twenty-first century. 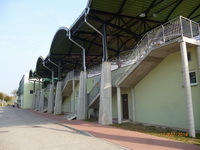 First a new landfill eastern stand was built (2006-2007) and then joined by the concrete and steel western structure (2009-2011).